The Climate Bond Initiative, as part of the Third Annual Green Bond Pioneer Awards, recognized Fannie Mae as the 2017 Largest Issuer of Green Bonds in the world. The awards are a globally recognized symbol of innovation and achievement in green bond market development. In 2017, Fannie Mae issued $27.6 billion in Green Mortgage-Backed Securities (MBS) backed by either green building certified properties or properties targeting a reduction in energy or water consumption, up from $3.6 billion in 2016 and $111 million in 2015. The 2017 Green MBS issuance volume is in addition to the $3.4 billion in Green REMIC tranche issuance volume. The Multifamily Green GeMS REMIC security is now included in the Bloomberg Barclays MSCI Green Bond Index–a measure of the global market for fixed-income securities issued to fund projects with direct environmental benefits. “Our leadership in the Green Financing business is measured by the positive impact in our communities–providing measurable financial, social, and environmental savings to property owners, tenants, lenders, and investors,” said Chrissa Pagitsas, Director, Multifamily Green Financing Business, Fannie Mae. Winners were selected by a panel of external industry-based advisers in recognition of their efforts to push green finance forward and develop green bond markets through their innovation and activities. Fannie Mae Green Financing loans are secured by multifamily properties that have been awarded one of 14 Green Building Certifications, such as LEED or ENERGY STAR, or which have Fannie Mae-financed improvements that target at least a 25 percent reduction in energy or water consumption. For loans originated prior to 2018, the consumption reduction target was 20 percent or greater. 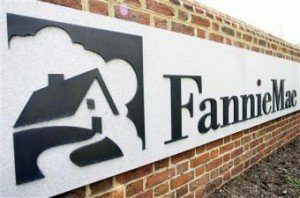 Fannie Mae introduced its Green Financing product to the market in 2011 and securitizes these loans as Green MBS.